Saying goodbye. Way too soon. They were so young, and had so much to live (die) for. 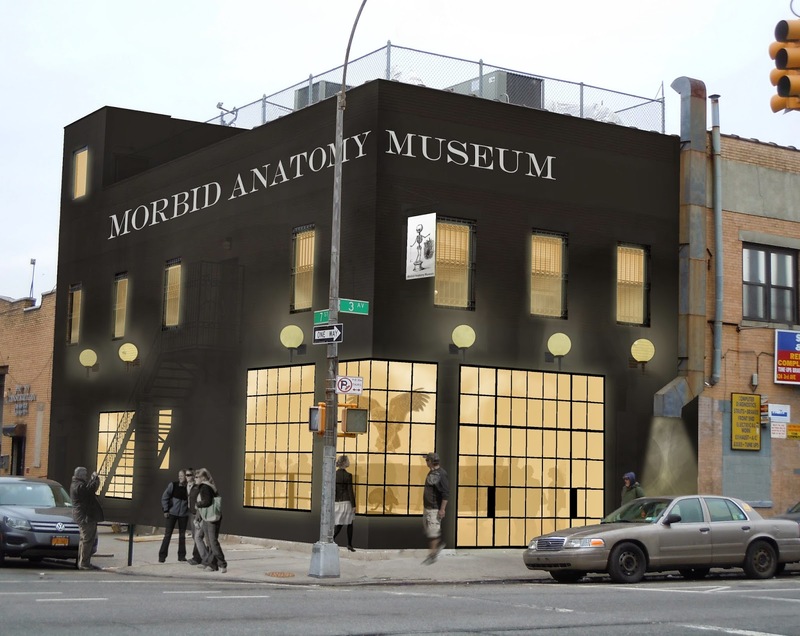 A lot of people knew Morbid Anatomy as Brooklyn’s answer to the Mutter Museum, and it was. It was the first “hey! you’re a tourist!” place I brought an out-of-town family member who’d studied forensic anthropology and worked at a coroner’s office. 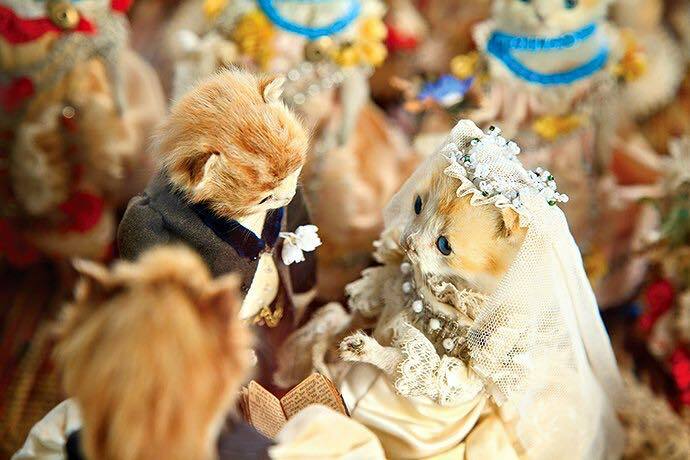 Besides hosting exhibits of things like elaborate taxidermy scenes (kitten weddings, squirrel card games, sloths just . . . slothing around), MAM offered classes and lectures on taxidermy, funeral rites, and all random things magick and weirde. 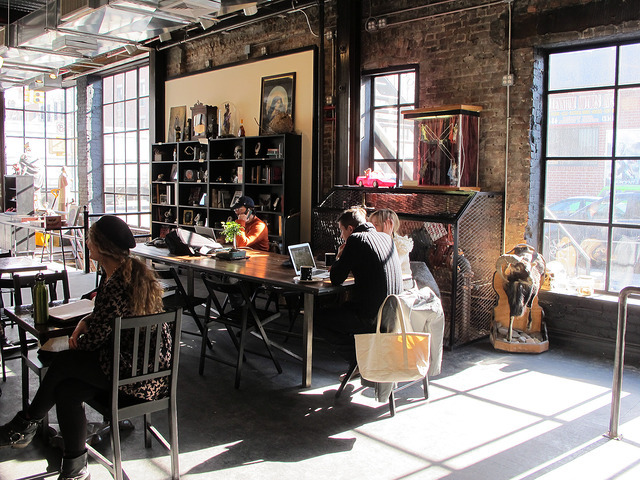 I knew this place as my ideal work space: the best coffee in Brooklyn, fast dependable wi-fi, friendly, quiet-ish but with good music. I logged a lot of time here on various freelance/remote jobs, researching, writing, holding meetings. The eavesdropping was excellent: various other day-job-free creative sorts discussing their projects, interpolated with the museum staff’s talk of all things blood and guts. My favorite thing about this place is that the cafe was fairly unpopulated — a total anomaly for NYC, where, if you’ve thought of a great way to spend your day, 50,000 other people have had the same awesome idea. I valued this space so much that it took me months to tell anyone about it, and when I did, I swore to secrecy those select few. I assumed that the cafe would go the way of all NYC locations, that eventually more and more visitors would catch on to its perfection, someday becoming so crowded I’d be lucky to squeeze my way through the throngs for a to-go cup right before they ran out of coffee for the day. And so I wanted to enjoy it while I could. While this mellow scene was great for me, it was obviously not great for Morbid Anatomy. I hadn’t been there in awhile, not since my baby started getting undependable about screeching in public places, so I found out about their closing via a Daily News link someone sent me. It all felt way too sudden. I will miss it more than I can properly express. 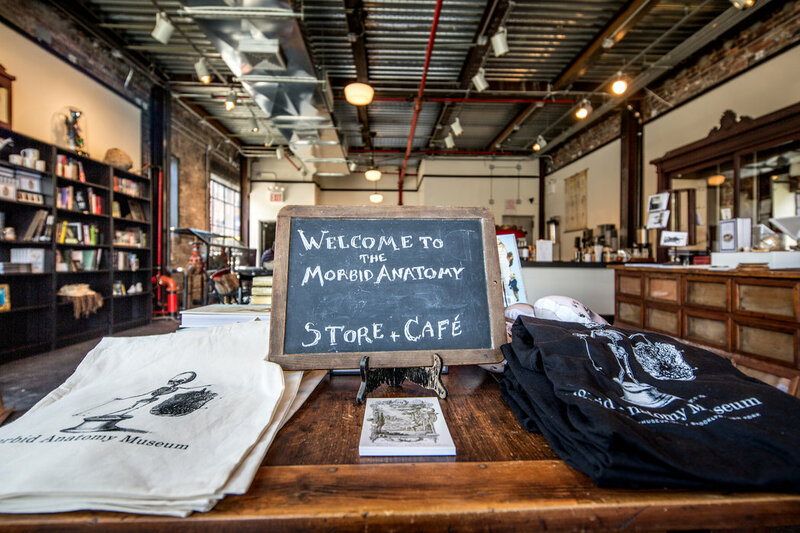 Survived by a lot of people who like dead things and at least one person who liked computering in the cafe and looked forward to bringing her daughter back there once she was past the undependable screeching stage, the Morbid Anatomy Museum will live on in our hearts and memories. Chaia is a Waddle regular contributor who’s written about popsicle-trekking, dropping food on her baby’s head, and more.